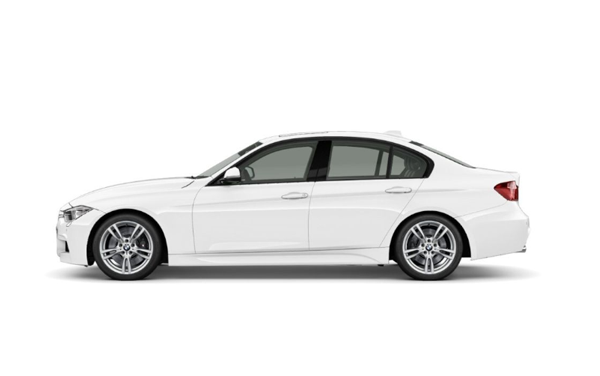 The sixth generation of the BMW 3 Series Sedan, the world’s best-selling premium car, sets new benchmarks in terms of sporting prowess, elegance and comfort. The pioneering history of the 3 Series serves as inspiration for the new sports sedan, whose powerful styling represents a fresh interpretation and conscientious development of traditional BMW design cues. The new BMW face, with flat headlights reaching along as far as the BMW kidney grille, emphasises the elegantly dynamic design of the new BMW 3 Series. The sixth generation of the 3 Series has grown in size compared to its predecessor, with its wide track (front + 37 mm, rear + 47 mm) particularly prominent, and the car’s increased length (+ 93 mm) and augmented wheelbase (+ 50 mm) also accentuate its sporting silhouette. Inside the new BMW 3 Series Sedan, the noticeable increase in space benefits the rear passengers above all. And the BMW 3 Series range is now also available in a trio of trim and equipment variants – the Sport Line, Luxury Line and Modern Line. Each presents its own individual take on the character of the sports sedan, with exclusive, high-quality material combinations and unbeatable build quality underlining the premium ambience of the new range.